"To know Jesus and make Him known." My life began in Vancouver, B.C. in 1947. In 1958 my father had a business transfer to Des Moines, Iowa where we lived until 1964. Returning to Canada, we moved to Willowdale (North York). Finishing high school and then university here, I entered Teachers’ College and taught for one year. During that year, I felt called to the priesthood and attended Trinity College from 1972-1975, graduating with my M.Div. 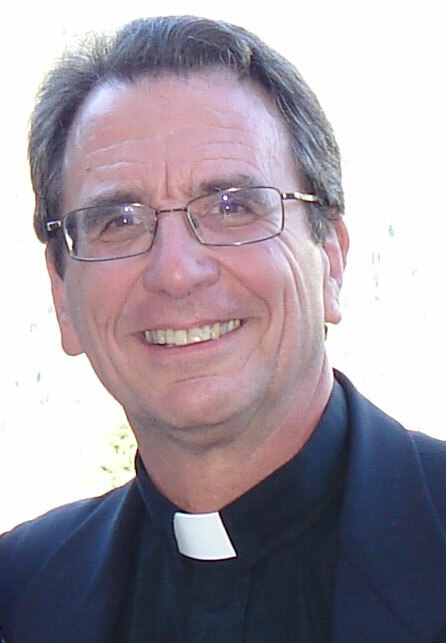 I was Ordained to the diaconate in 1975. I served my curacy at St. Clement’s in North Toronto. I was ordained a priest on May 16, 1976 and on October 9th that same year, married Susan whom I had met after moving to St. Clement’s. We moved to St. Paul’s-on-the-Hill for my first Incumbency in June 1978 where I served until October 1981. Our twins (boy and girl) were born in 1980. We moved to St. Francis of Assisi in Meadowvale (Mississauga) in 1981, serving there until 1988 at which time we moved to St. Matthew the Apostle, Oriole in Willowdale. We were there until 2005, at which time I was appointed the rector of Holy Trinity, Thornhill. I retired in the summer of 2010 and we moved to Lindsay—a chance to get away from the hustle & bustle of Toronto and to be only one hour from our cottage. Unfortunately, Susan was diagnosed with cancer in April, 2011 and died on March 19, 2012. ‘We are Easter people and Alleluia is our song’. As the Christmas message of a new born babe in a manger draws us into the mystery we call Faith, so the empty tomb of Easter Day beckons us to move more deeply into that mystery. With the questions that arise in any given season, that mystery of Faith, a gift given us by a loving God, continues to be unwrapped. As we unwrap that gift, may “Alleluia” indeed be our song.